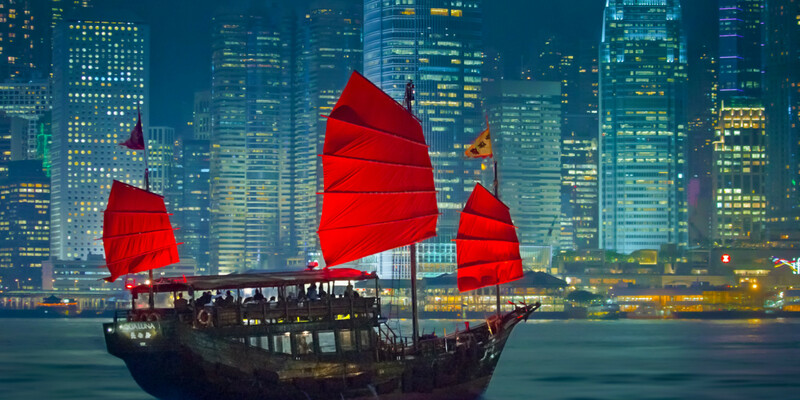 Hong Kong is one of the most dynamic cities in the world, a living fusion of East and West. Taoist temples and Edwardian edifices nestle between skyscrapers, people trade on international markets and light incense to bodhisattvas, vestiges of Chinese clan heritage and European colonial history sit side by side. The territory comprises Hong Kong Island, Kowloon Peninsula, the New Territories and 262 outlying islands, making a total land area of slightly more than 1,104 square kilometres. Steep mountains and strong planning controls have led to most of the population being housed in about 270 square kilometres (less than 25% of the territory) of urban development, while over 400 square kilometres (about 40% of the territory) have been protected as country parks or conservation areas. Everyone knows Hong Kong as a place of neon-lit retail pilgrimage – all international brands worth their logo have outlets here, and they are supplemented by the city’s own retail trailblazers. The best places to find global designer brands and luxury stores are in malls, such as the IFC and the Landmark in Central, Times Square in Causeway Bay, Pacific Place in Admiralty, and Harbour City in Tsim Sha Tsui. Some of these shops, such as Prada, have outlets at Horizon Plaza in Ap Lei Chau selling off-season items at discounted prices. For a truly local shopping experience, the minimalls in Tsim Sha Tsui are teeming with all things young and trendy, both locally designed or imported from the mainland or Korea. Home to one of Asia’s largest – and most competitive – spa scenes, Hong Kong is the ultimate city for a pamper-break. From express pedicures to bespoke traditional therapies, Hong Kong’s day spas offer every treatment under the sun, and with most spas now operating until 11pm (or later), it’s easier than ever to squeeze in some luxury downtime after golf or a day shopping. From the legendary Hong Kong Rugby Sevens and world-class horse racing, to dragon boats competing in Victoria Harbour, whatever your sporting passion, Hong Kong won’t let you down!